Island Bike Company is proud to be renting the Electra Townie 7D. Lucky number 7 means plenty of gears for all rides long or short. 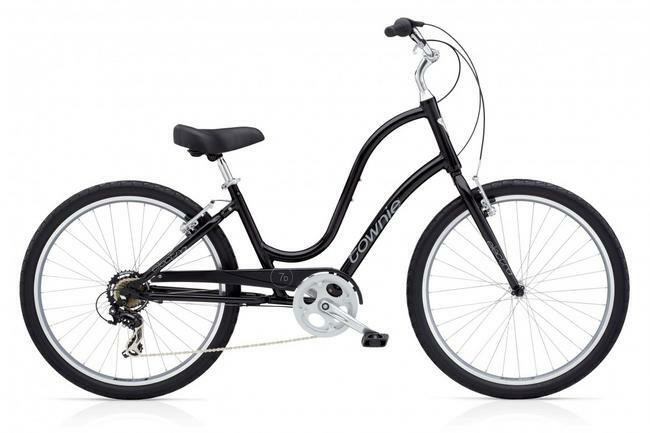 The Townie was Electra's first bike to showcase their patented Flat Foot Technology. This bike design was created for a riding experience with an ergonomic, upright seating position that lets you plant both feet on the ground whenever you want. The Townie 7D set a new standard in comfort and control, and started a cult following in the process. A perfect bike for Nantucket Island, whether sticking to the bike paths or riding to your favorite secluded beach. It features a wide comfort saddle, 7 speed grip shift and a rear rack. Baskets are available upon request. Reserve your bike 14 days in advance for a 10% discount. Thank you for you interest in Island Bike Company. Please call us with any questions regarding our rental bikes 508-228-4070.